Blog Quick Quotes: March Club Q Reveal - Day 2! March Club Q Reveal - Day 2! Hi everyone! Jen here today to showcase the all new March Club Q kits!!! 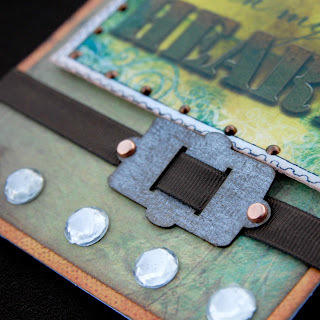 Today I will be sharing a card that I made with the new Quick Quotes Tin Type paperline which is featured in the kits. 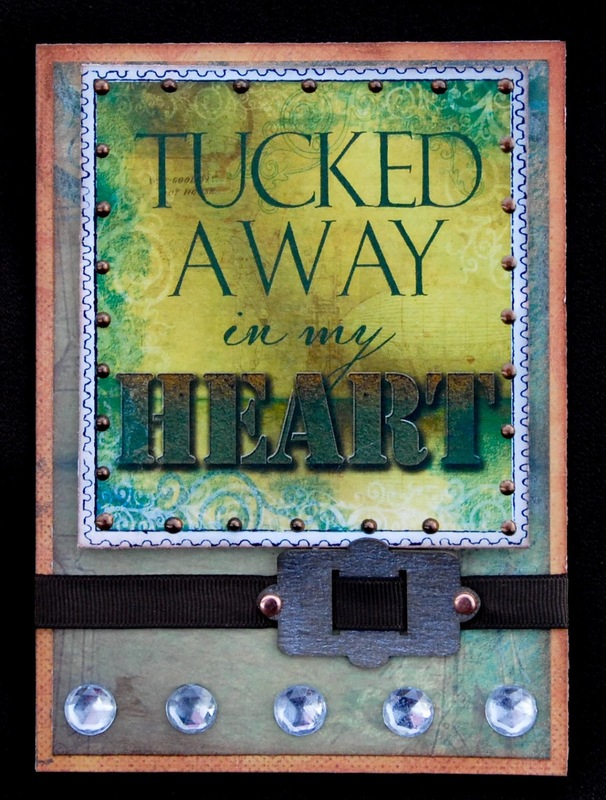 I used the Tin Type Cutout to create the sentiment for my card. I inked the edges and added small dots of Viva paint around the out perimeter of the cutout and pop dotted the piece onto my card. I then added 5 gemstones to the bottom of my card. Thanks for looking!! Gems – Bead Design Co. I especially like the buckle part. The more I see done with this paper line the more I like it. Nice card. Jen, this card is beautiful!! !